Mr Morell was with George W Bush at a Florida primary school as the second plane hit the World Trade Center on September 11. While General David Petraeus arrived at the CIA as a war hero under an intense public spot light, his replacement is a consummate man of the shadows. 9/11 Truth Confronts Amy Goodman & Democracy Now! ~ Cal Poly San Luis Obispo 20Oct12 - - - Mark Phillips, mechanical engineer, and member of Architects & Engineers for 9/11 Truth: (AE911TRUTH.ORG), had dinner with Amy Goodman twice since 9/11, and was largely responsible for getting Goodman on local public radio: KCBX FM 90.1, for the San Luis Obispo county. Phillips provided Goodman with evidence of the controlled demolition of all three World Trade Center skyscrapers on September 11, 2001 at a dinner, in New York, three years ago. At that dinner Phillips gave Goodman copies of the NIST report about the free-fall collapse of World Trade Center building 7, a copy of the newly released peer reviewed scientific paper published in the Open Chemical Physics Journal 2009: "Active Thermitic Material Discovered in Dust from the 9-11 World Trade Center Catastrophe". This evidence of controlled demolition of the World Trade Center buildings on 9/11, as well as an entire packet of information was provided to Goodman at the dinner three years ago. Goodman was in New York on 9/11, and was an eyewitness to the 47 story free-fall demolition/collapse of World Trade Center building 7, at 5:20pm. Phillips pleaded with Goodman this year, and in the past, to interview one of the authors of the Active Thermite paper on the radio. There has been an entire media black out on the subject, with the exception of George Noory on Coast to Coast AM and the Alex Jones Radio Show. No others, to date, have discussed the Active Thermite paper. Perhaps one day soon Amy Goodman will be brave enough to at least have this debate on the air and get this truth to millions of Americans unaware of this incredible evidence. The wars in Iraq, Afghanistan, and loss of freedoms in the United States all resulted because of 9/11. There are many connections between the events of 9/11 and Oklahoma City. Some of these connections revolve around the alleged 9/11 hijackers, the “20th hijacker” Zacarias Moussaoui, and a couple of airports around Oklahoma City. Looking closer at the airport connections reveals startling coincidences with regard to the people who ran World Trade Center (WTC) security company Stratesec, as well as CIA Director George Tenet’s mentor, David Boren, who is currently the co-chairman of President Obama’s Intelligence Advisory Board. Independent investigators have shown that there are striking links between the 1995 bombing of the Murrah Federal Building in Oklahoma City (OKC) and the events of 9/11. [1, 2] Recently, many 9/11 investigators have become more interested in learning the truth about the OKC bombing after being exposed to the excellent film A Noble Lie. Between February and August of 2001, Zacarias Moussaoui lived in Norman, Oklahoma and attended Airman Flight School at Max Westheimer Airport, which is owned and operated by the University of Oklahoma. 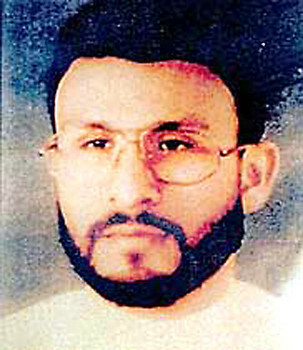 Moussaoui even lived in a university dormitory. According to Moussaoui’s indictment, Atta and Al-Shehhi had visited the same flight school in July, 2000, but did not take classes there. Republican presidential candidate Mitt Romney has often endorsed the idea of using "enhanced interrogation techniques" if he is elected and doesn't believe that waterboarding is "torture," but he chose the GOP's most fervent critique of such methods to be the co-chair for intelligence personnel in his transition team. Philip Zelikow, the long-time diplomat and former counselor to Secretary of State Condoleezza Rice, has been named one of two officials in charge of planning for the intelligence side of a potential Romney administration as part of the Romney campaign's "Project Readiness," multiple sources with direct knowledge of the project confirmed to The Cable. Zelikow, who was also the executive director of the 9/11 Commission, co-chairs the intelligence team with former New Jersey Governor and 9/11 Commission co-chairman Tom Kean. Zelikow is another GOP senior foreign-policy hand from the realist camp in the top ranks of the Romney transition team. The head of the national security team is former Deputy Secretary of State and former World Bank President Bob Zoellick, a pick that roiled neoconservatives and hawks inside the Romney campaign when it was announced in August. But there are also hawks on the transition team, including former U.N. official Rich Williamson and former Undersecretary of Defense for Policy Eric Edelman. Winner Best short film at the Scinema Science film festival 2010. Become a member of The Sponsor Lounge and get exclusive behind the scenes content while helping us grow! Twelve years ago, the American warship USS Cole was the target of a successful terrorist attack when it made a brief stop in the port of Aden, Yemen. This was one of only four attacks attributed to al Qaeda prior to 9/11, according to a 2004 U.S. government report. Like 9/11, there are numerous unanswered questions about the Cole bombing and, as with 9/11, little or no justice has been done. This article examines a few of the unanswered questions in an attempt to make sense of the background story that was later used to produce and justify the official account of 9/11. The al Qaeda attack that was said to precede the bombing of the Cole was the August 1998 bombing of two U.S. embassies in Africa. A year later, in 1999, the Washington Post described how people were not convinced by the case made by U.S. officials against al Qaeda. Although the Washington Post and a U.S. government indictment could not, in 1999, convincingly explain how al Qaeda operated, today there is an enormous amount of historical “chatter” available to consider. Some of it is based on investigations into the year 2000 Cole bombing and details surrounding the al Qaeda “operations hub” in Yemen. Still, the government’s account of the Cole attack remains unconvincing and problematic. CPT12 has also seen an impressive response at its website, CPT12.org. "The webpage for the broadcast has received more hits than any program page in the history of CPT12.org," said Shari Bernson, Director of Development at CPT12, in an email to the Digital Journal. Web traffic statistics from Alexa.com also show CPT12.org receiving a huge boost in traffic, which began during the August 18 premiere of Experts Speak Out and ran through the 9/11 anniversary. In addition, it marked the first time that a video produced by CPT12 gained recognition as one of the most watched films on PBS nationwide.